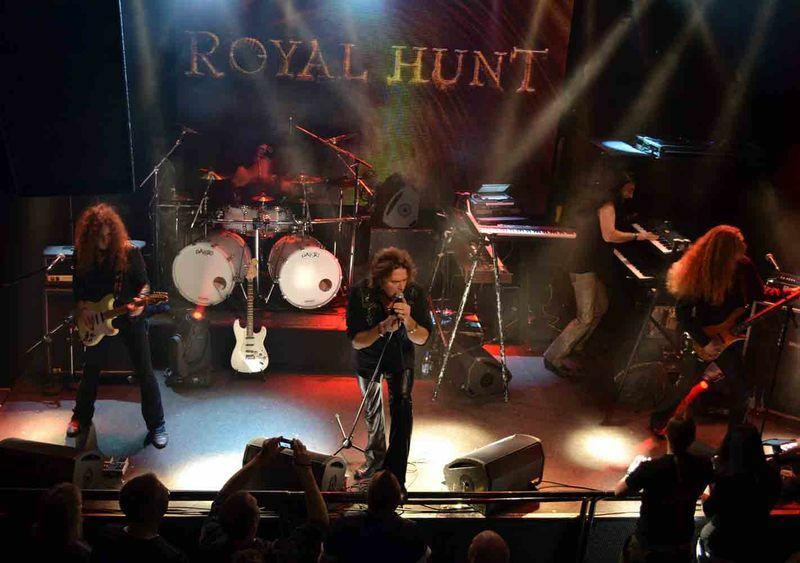 Royal Hunt is a progressive metal band based in Denmark, founded in 1989 by keyboardist Andre Andersen. The band is known for creating melodic music with a progressive and symphonic flair. They experienced huge success during the mid-90s with vocalist D.C. Cooper on their classic albums Moving Target and Paradox mainly in Japan and Europe. 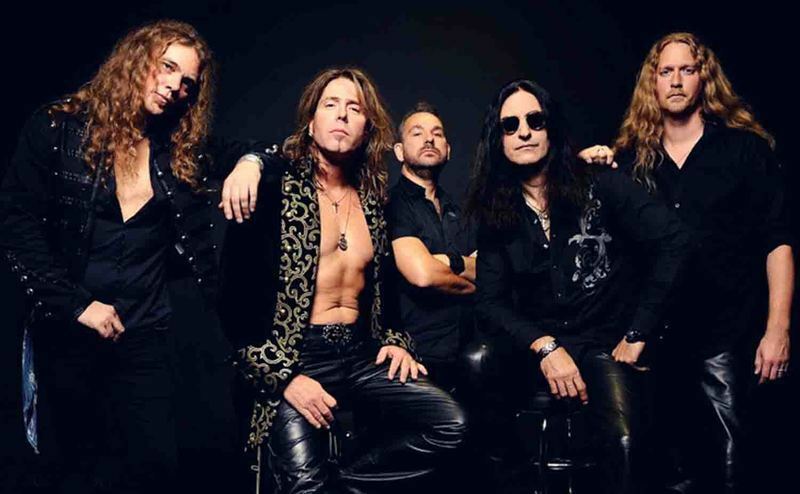 They have experienced several lineup changes throughout their history, in 2007 they acquired singer Mark Boals, who replaced former vocalist John West. In 2011 after numerous requests from fans and promoters worldwide they decided to reunite with their former vocalist D. C. Cooper for a special tour, covering the first four albums of the band. They recorded a new album entitled Show Me How to Live featuring the returning D.C. Cooper as their permanent vocalist moving forward.Cooper also provided vocals for the 2013 album, A Life to Die For, and again provides vocals on the to-be-released Devil's Dozen. Royal Hunt have sold more than 1 million albums worldwide.According to royalhunt.com (the band's official website) the band will be performing a 90-minutes set (incl. the entire Paradox album) at ProgPower USA in Atlanta, GA on 12 September 2015.It was revealed in April 2015 that Royal Hunt would be part of the Rockingham lineup at Nottingham's Rock City 23rd - 25th October. Royal Hunt are scheduled as the third act on stage for the Sunday, being followed in running order by Stan Bush, the headline act for Sunday being Dokken.Also in April,at royalhunt.com, the band announced they had completed the songwriting/pre-production process for their (thirteenth) studio album due to release later this year. 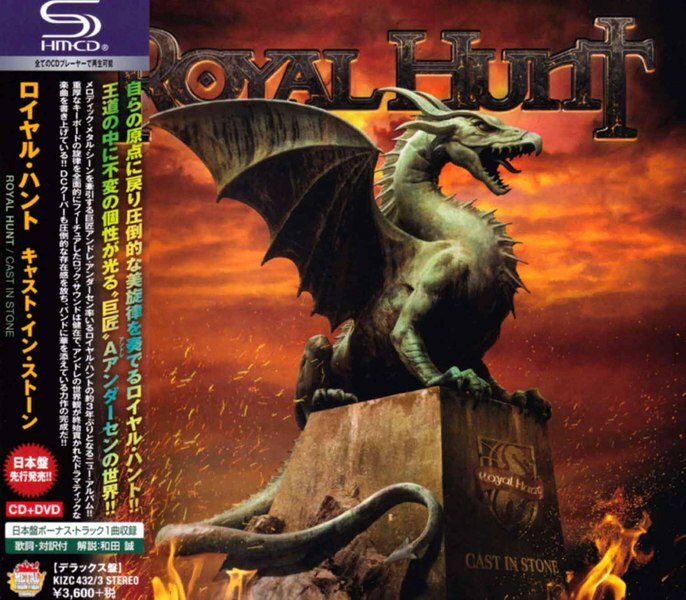 At the same time the band started their first ever pre-ordering campaign on Pledge Music.On 15 June 2015 the cover artwork for the album was revealed on the band's website.Release date is August 21st in Europe and North America via Frontiers Music srl.Royal Hunt will be performing at Loud Park Festival (Japan) in October 2015. How to progress and yet keep the identity which took over 25 years to establish? How to create the ever evolving – and at times rather complicated – musical compositions and wrap it up in an accessible format with that recognizable sound? Royal Hunt does it with ease and now – with their 14th studio album – proves once again that creativity and staying true to yourself can work hand in hand and produce some astonishing results: will you please welcome the ultimate proof of that - “Cast In Stone” - the album you'll be listening to again, again and again.André Andersen: "This album took a while to complete. Mind you, between the very first idea and until the final mix, we did two tours and released two live albums, so this one's been in the making for quite some time. In a way it´s been very practical: you could work on it for a while, then go on doing something else and then come back later to re-evaluate what's been done before. As a result all songs on the album are solid and well crafted, showing every aspect of Royal Hunt today: originality, catchy hooks, strong melodies, great musicianship and a larger-than-life production. On that - the production - we definitely did quite a job: all the vital recorded parts were done in analog as well as the final mixing/mastering, so there are no loudness wars in sight, no brickwall limited, over-compressed, lifeless wall of sound. The album breathes just like a real rock album should. I could also go on for hours praising everybody's contribution - musicians and singers alike - but as my opinion will inevitably be very biased, I would prefer to leave the final judgment to you. 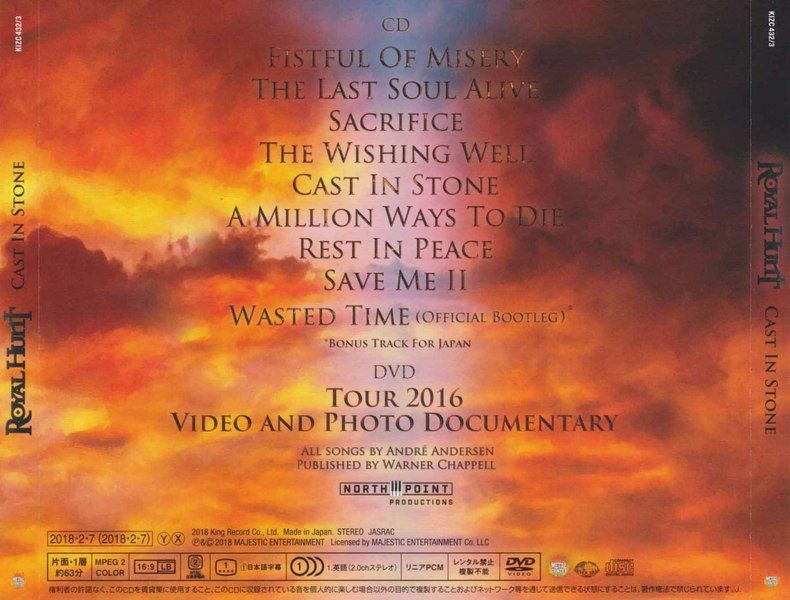 After all this album's been made for you to enjoy (although we're enjoying it immensely ourselves at the moment)". Návrat na "NOVINKY 2018 / NEWS 2018"